Easter Grass – That colorful fake grass used to make your Easter basket so vibrant. Ingesting this “grass” can be lethal to your dogs and other pets because they can not digest it. The threads get stuck in their intestines causing damage. Plastic Eggs – Those shiny plastic eggs that contain goodies and sometimes, if you’re a really lucky kid, money. If chewed and swallowed the plastic can cause intestinal problems that may require surgery. Make sure you keep track of how many you put out and that they are all found by who should find them, not Fido days later. Chocolate – We all know that chocolate is dangerous to pets, but make sure your children know. 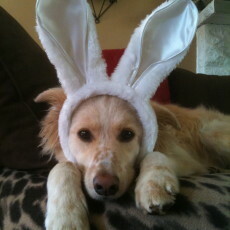 Besides, puppies love bunnies, they just shouldn’t have chocolate ones. Easter Lillies – They are a sign that spring is a coming, brining new life out of winter. But, did you know that they are one of the most poisinous plants for pets? Especially cats. They can cause kidney failure in less than two days if untreated. Toys – Don’t forget those small and fun toy bunnies, chicks and others Easter basket stuffers that post a potential choking hazard for Fido. Find more information about pet toxins and poisonous items for dogs and cats at the Pet Poison Helpline at www.petpoisonhelponline.com. The helpline is also open 24/7 at (800) 213-6680. Have a happy and great Easter with your family! Make sure your vacuum is cleaned. Flea larvae that can live in carpets and furniture can get sucked up in your into your vacuum and can hatch. Make sure that you empty your vacuum often. Bagless vacuum cleaners are great to ensure that flea larvae do not hatch. Find organic/chemical free ways to rid your yard of fleas and other pests. 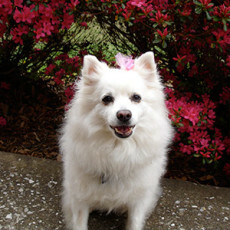 Get your dog groomed as to not get matted as easily. Find a dog groomer. Keep dog beds clean as to not let any larvae hatch. Everyone likes to get outside and run in the spring, remember to ensure that your dog’s tags are readable and up-to-date in case he gets out. 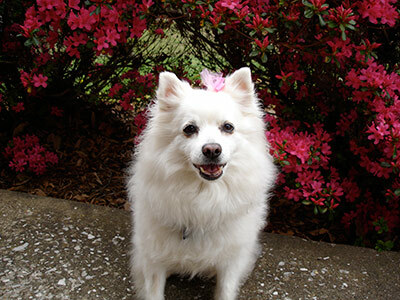 Be mindful of chemicals used to keep yards up during the summer which can be harmful to pets. Some fertilizers can be highly toxic. Roads and the sides of roads can still have salt residue, make sure to wash your dog’s paws after a walk. Have fun playing outside this spring with your dog(s)! 1. Keep all holiday food on high ground out of your pet’s reach. 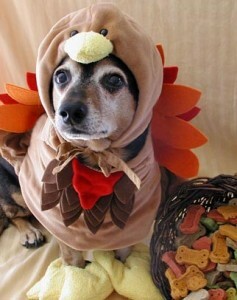 Just like how people pack on the pounds during the holidays because of irresistible food, dogs want to eat too. 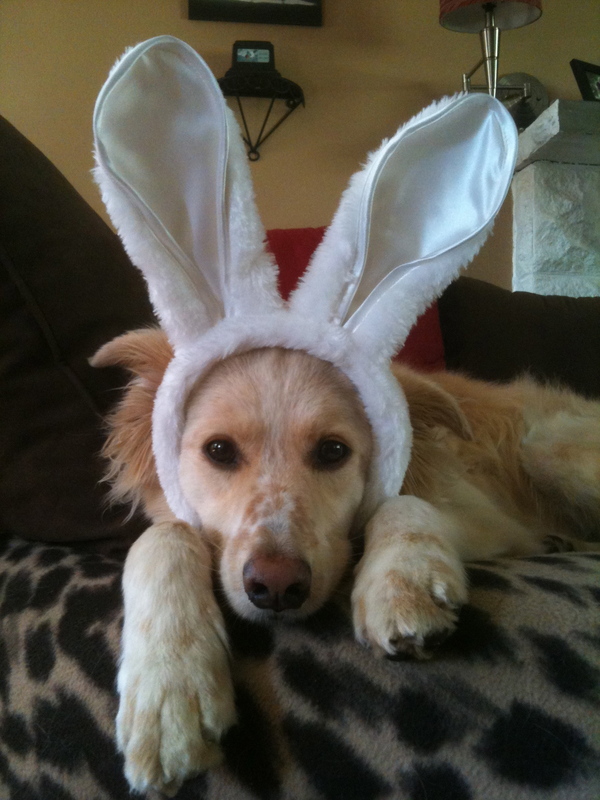 Remember, chocolate, alcohol and other feeds can be toxic to your pet. 2. Secure and/or hide all lighting and other electric cords.Whether its the desire to see what the cord tastes like and having a shocking experience or the rough play running around the house and tripping making the tree fall down, cords can get in the way and wreak havoc if not properly secure. Make sure they are tucked up against the wall securely so they won’t be played with. If needed, spray down with Bitter Apple or another taste aversion spray. 3. Carefully choose holiday plants and where you put them. Many of them are dangerous to your pets. Mistletoe, holly, lilies and poinsettias call all be poisonous and affect them in different ways. Make sure they are out of reach as to not be eaten and secure so they won’t be tipped over. 4. Keep their safe spot safe. Many dogs have a safe spot. 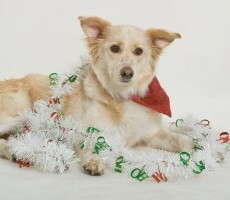 Whether it be in their crate in a certain spot or their bed in the living room, don’t make their safe spot the new place for the tree or other holiday items. Pets thrive on routine, let them know that even with all the fun, this is still their home too and they have a safe spot. 5. Ensure ID tags are on and readable.With people coming and going during all the parties your dog or other pets may get out. Make sure they get home safe with proper ID tags, microchips if you can. Have a safe and Merry Christmas from our family at DogGeek.com to yours. It’s that time of year! The tree’s up, lights are out and the eggnog is being poured. 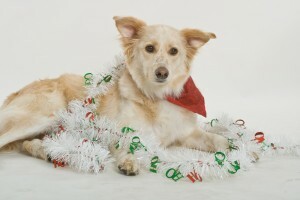 Here are some tips about decorations, plants, and foods that can be harmful to dogs during the holidays. Henry Schein, Inc. (Nasdaq: HSIC) is the world’s largest provider of health care products and services to office-based dental, animal health and medical practitioners. It’s the official kick-off to the holiday season, first one up, Thanksgiving. Mmmm the turkey, ham, stuffing and desserts… is your mouth watering yet? While we’re over indulging on delicious foods with our extended family and friends, remember these tips so that your best friend(s) have a day to be thankful for also. A Tired Dog is a Happy Dog: Before the house starts filling up with friends and family, go for a walk. Get your pups ya-ya’s out now. Besides, it will help you make more room for the great food your going to over indulge in! Collar and Tags: As with any gathering, ensure that your pup has their bling on. Collar is on correctly and tags are up-to-date. You don’t want to spend the afternoon searching for a lost dog. Turkey and Trimmings: I know, we all want to share a little and every once in a while that’s OK. Ensure that the turkey is fully cooked so that there is no salmonella bacteria and please, please make sure there are no bones. Turkey bones are small and can easily choke or hurt their stomach. Try putting some in a Kong or Busy Buddy and make the moment last, you’re pup will enjoy the food and the challenge. Onions, Grapes, Raisins and Chocolate, Oh My! : Just because they are all ingredients that make the day and meal doesn’t mean they should be shared. All of the items listed are toxic to dogs and other pets and should not be shared. Keep a Lid On It: The meal smells so good while cooking, it also smells so good to your best buddy in the trash. Keep a lid on it and avoid messes and embarrassing moments. 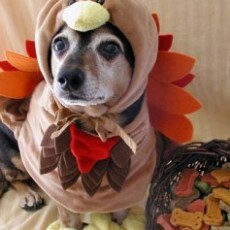 No Yappy Hours: While the Thanksgiving cocktails may be flowing two things you should always adhere to. 1. Don’t drink and drive and 2. Never leave your cocktails on the ground or in reach of your dogs or other pets, they are toxic. Thanksgiving is fun for the whole family and that includes your best friend. 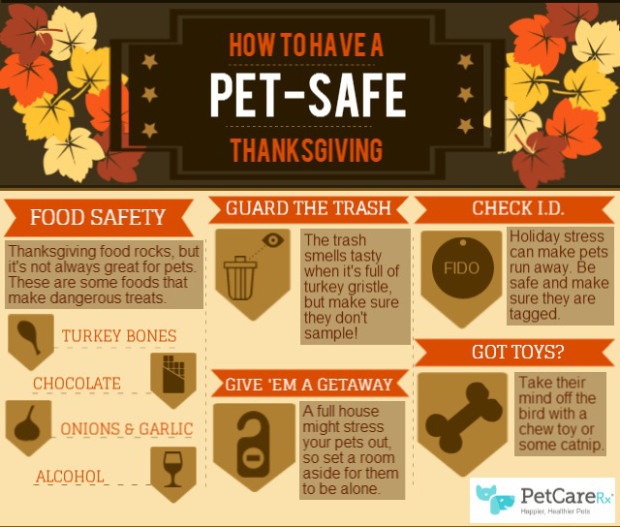 There are things to watch out for though to ensure your Thanksgiving is dog friendly and doesn’t result in an emergency trip to the vet. Here’s some tips below from our friends at PetCareRX.